Not sure what to make of the crude oil market? You can learn from this free webinar by Phillip Futures. In 2016, OPEC was thinking of ways to cut production so that oil prices would increase. Now they have come full-circle and need to figure out how to increase production so that prices fall. Several developments in the immediate future could lead to a reduction in the availability of oil in the international market. The U.S. is in the process of re-imposing sanctions against Iran. If this happens, oil exports from that country will be restricted. This could lead to an increase in prices. Venezuela, which is a member of OPEC and an important oil exporter, is going through an economic crisis. Oil production in the country is at its lowest in decades. According to an estimate, the output could fall by an additional 550,000 barrels per day (bpd). Venezuela and Iran are not the only countries that could disrupt global oil supplies. Libya, and Iraq, could see variations in oil production because of their political instability. This is the background against which the 22 June OPEC meeting is going to be held. Meanwhile, media reports stated that Saudi Crown Prince Mohammed bin Salman had already held discussions with Russian President Vladimir Putin on the subject of their continued cooperation on the volume of oil production. The meeting took place in Moscow, where the Saudi prince had gone to attend the opening game of the World Cup. The International Energy Agency (IEA), which is a Paris-based intergovernmental organisation, has forecast that the global crude oil demand would rise by 1.4 million bpd in 2018. This is a slight reduction from their earlier estimate of an increase of 1.5 million bpd. Where will the additional demand come from? China and India are the two countries that are driving the increased consumption of oil products. Between them, they account for 69% of the expected growth in the demand for oil. ⇨ January to May 2018 saw oil imports to China at a level of 9.21 million bpd. That’s an increase of 690,000 bpd as compared to the similar period in 2017. ⇨ India’s oil imports grew by 272,000 bpd in the first five months of the year. They are now at a level of 4.57 million bpd in the January – May period. While there is a possibility of a slowdown in demand, it is likely that both India and China will continue to require increased amounts of oil to sustain their economic growth. The price of oil will ultimately be determined by the forces of supply and demand. Global consumption is on the upswing and according to the IEA, it will exceed 100 bpd in the second quarter of this year. But oil supplies could face a constraint. Venezuela’s reduced output has already contributed to a shortfall of 1 million bpd. Commercial oil stocks in the industrialised countries are currently at a three-year low. In March they stood at 2.819 billion barrels, a reduction of 26.8 million barrels from a month earlier. While Saudi Arabia and Russia could hike production volumes, it is not certain if they can make up the shortfall that results from lower production by other countries. What does that say about the prospect for oil prices? 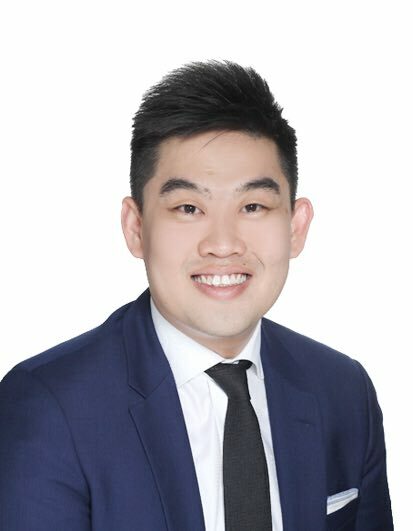 Benjamin Lu, Phillip Futures’ Investment Analyst for Commodities believes crude oil prices in 2018 will be “driven largely by a supply narrative”. “Global oil demand growth has shown to be robust in the 1st half of 2018 and is projected to continue into 2019. Markets will use OPEC’s policies for forward guidance on crude oil prices into 2019,” says Lu. So what should investors out for during the OPEC meeting? “Investors should pay attention to OPEC’s policies and guidance into 2019,” advises Lu. Such policies include the cartel’s decision for a supply cut extension or to boost production levels, any adjustment in production parameters from the established 32.5 million bpd for OPEC and Russia. There could even be “indications of an exit strategy after 2019 or a potential formation of a 10-20 year long-term alliance to moderate global supply between oil producing nations,” adds Lu. Lu recently held a free webinar on the 2018 Market Outlook for Crude Oil. Investors can still view it from Phillip Futures’ website here. Investors can trade oil price volatility through financial derivatives like futures and options. Phillip Futures offers both through its electronic and voiced-based brokerage services, with contracts like NYMEX WTI & NYMEX MINI contracts, ICE Brent & ICE SG Mini. NYMEX Mini contracts allows investors to start trading with an initial margin of USD1403, while ICE SG Mini contracts allow investors to start trading with an initial margin of USD285. Phillip Futures also offers a myriad of e-trading platforms, including the Phillip MT5 platform, that complements different investor requirements. The different platforms allows investors to enact elaborate trading strategies, cross-asset hedges and algorithmic trading amongst others. Start trading crude oil with Phillip Futures here.